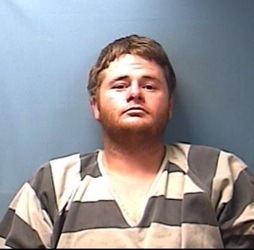 the Lawrence County Sheriff’s Office arrested Travis Walton (29) of Walnut Ridge on charges of forgery. The arrest was a joint effort between the Lawrence County Sheriff’s Office and the Greene County Sheriff’s Office. Greene County took a report from a Greene County farmer that one of his employees had taken his checkbook and had written several checks throughout Lawrence County totaling $5,750.00. Deputies from Lawrence and Greene County found Walton and interviewed him about the forgeries. Walton admitted to the forgeries and was placed under arrest. Walton was transported to the Lawrence County Jail to await a bond hearing.